Ever wondered where story ideas come from? Especially the stories that linger in your thoughts long after the last sentence. Do the authors filter through pages and pages to create these novels? Are they inspired by family histories, television shows, strange and stranger occurrences, other stories? Well, if you want to find out, you’ve come to the right place. Welcome to the first post of my blog series, Love At First Thought. 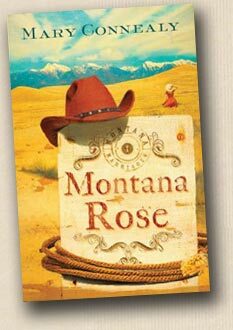 I can’t think of a better way to start than with cowboy-author-extraordinaire, Mary Connealy. In Mary’s free-time, she writes. The evidence is in the fact that she turned out five new books last year, and has four more on the way for 2011. It’s astonishing what this lady can do. 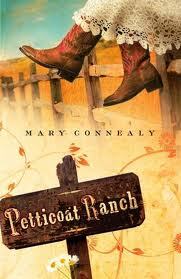 Speaking of creativity, let’s go back to the beginning with Mary’s first book, Petticoat Ranch. In Mary’s case, her first novel was inspired by Dirty Harry. Petticoat Ranch started with two ideas. The second Dirty Harry movie, the one about vigilantes, and he said/she said. A man in an all girl world. (And if you’ve never read Petticoat Ranch it’s a MUST. SOOOO hilarious, with a hefty dose of Mary’s trademarks: male/female banter, adventure, gunfire, and humor. WONDERFUL!!! Wildflower Bride: Two people who belonged nowhere except with each other. Faith message (How does a strong, independent man turn his life over to God. There you have it, guys. Some tips about where Mary’s books originated. Have you ever gotten a novel-idea from a movie? Give us a glimpse into your story the movie inspired. And thank you, Mary – for letting us have a little glimpse into your creative world. For the length of this series, I want to introduce you to some verses in the Bible that have the phrase ‘in the beginning’. Genesis 1:1 “1 In the beginning God created the heavens and the earth. 2 Now the earth was formless and empty, darkness was over the surface of the deep, and the Spirit of God was hovering over the waters. In the beginning, God’s story began. A story he would write from His first ‘Word’ to the very last. He took the emptiness of darkness, and filled it with His light, and the great Storyteller began to weave a tale greater than any other in all of history. A tale of rescue, redemption, riches, ruthlessness, and royalty. But most of all – a story of love. Into the darkness, God brought forth light with just a word. And into our lives, he brings forth stories. Inspired by His ways, wisdom, and words. In this world, created by His words, we step with wonder- waiting for inspiration to unfold at any turn. Out of a darkened, empty page – God guides us into situations that dawn a novel in our minds. He’s created us as writers – for His glory. But most of all – He’s brought us out of the darkness of our sin, and lightened our soul with His love. A love that should inspire us to show the world what true love really is. Stop by Wednesday to find out the inspiration behind Margaret Brownley’s first inspy novel, A Lady Like Sarah. Hhhhm, I got an idea, Pep. At the ACFW conference this year (squeee), I’ll jump Mary and you snag a hair, and we can slice our DNAs and become a WRITING MACHINE!!!! Let’s go for it, Sherrinda. Dirty Harry?? Really, Mare???? Only you, kiddo!! 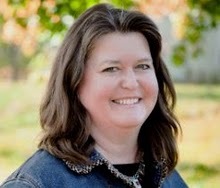 I am grateful that Mary Connealy is one of the sweetest human beings (and best writers) I’ve ever come across. Why? Because the truth is I am SO jealous of Mary’s prolific writing (five books in a year, come on now!!!) that the only way I can cope is to tell myself that in reality, she has a secret twin who is so shy, she makes Mary do all the front work. Between the two of them, this dynamic duo crank out books and blogs like nobody’s business. Except that doesn’t really work because I could be sextuplets and STILL wouldn’t write as many books as Mary and her twin in a year. Sigh. And simply wonderful in your own right. I read your comments at Seekerville today and I LOVED the inspiration of your new story – finding love letters in the attic of an old house! I love the story already! And Mary’s inspirations are really unique. That’s the interesting thing about ideas. Two people could see the same thing and it can spark completely different things! Looking forward to your next guests! What a heavy topic for a story idea – but I LOVE to learn about how people come up with them. 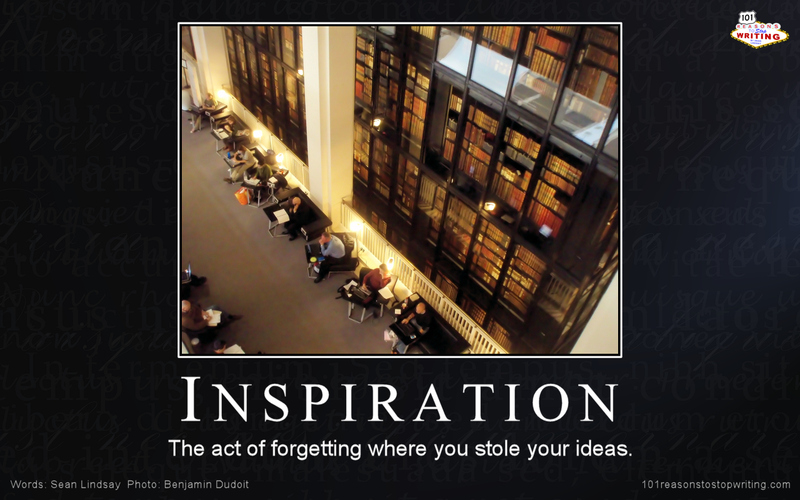 I totally agree, no two people will look at the same inspiration from the same viewpoint. What a great series idea! You always seem to come up with great ones! I loved hearing about how Mary came up with her ideas! I for one need to take some serious notes. I don’t know how Mary comes up with all her “giggle” inducing ideas online, let alone 5 books a year. Pepper, I seriously love your devotions. Once you get your fiction out there, I would love to see a devotional book with your name on the cover. It’s a win-win situation, Case. I have fun doing it -a nd I get to learn in the process. PLUS – the authors get free PR. When you take the law into your own hands first you’re only going after bad guys but when you’re judge, jury and executioner, pretty soon you’re killing a guy because his dog used your lawn for a bathroom. Yes, I know, that’s awful, but it’s a deep truth. it’s why a person can’t take the law into their own hands. Because their motives get blurred at the same time their hearts are getting hardened. So my villains in Petticoat Ranch started out going after bad guys and then, as they realized the money was good, they stepped further and further and further away from any kind of honor until, in the end, they’re chasing women and children and using poison. They had become utterly corrupt. And maybe I can just sell my hair for a nominal fee. No LEAPING required. Amazing, Mary. I don’t think I’d heard the inspiration for all of these. Thanks, Pepper, for coming up with this great blog idea! Wow – you NEVER know do you?! Mary continues to amaze us all, and in such a GOOD way too! Super comments and yes – what ABOUT that box of letters? Surely you could strike a deal – or at least ask to make copies?! MAYBE??? Bring them chocolate. That should do it. HA! 3) A visit from a DC law-enforcement person who said May would be the most AWESOME bomb-sniffing dog. So – not a movie, but real life! It’s due to release this summer so… Perhaps Hollywood will come knocking. Everyone should meet May – I truly admire her spirit. All the best to you and everyone! Oh KC, have i been coming up with bribery techniques or WHAT! In fact, I’m trying to convince my hubby to go for another tour of the house tomorrow. It’s within our price range – and wouldn’t it just be WONDERFUL if hte box of letters came WITH THE HOUSE!!! Plus, there’s an old steamer trunk in teh basement. Wonder what’s in there. Did you say that your book comes out this summer?!? Mary is one of the most focused, hardest working writers I’ve ever met! She deserves every bit of the praise she’s earned. The idea for my first book began as Sleeping Beauty…it morphed into…. what if Howard Hughes had a child. A daughter. Hughes dies and he’s so carefully set up this world to keep his daughter safe forever. But many people are making a LOT of money by obeying the letter of the will Hughes wrote, right down to having the daughter declared mentally incompetent so she can’t exert her will over her life. And finds out this world her father has been protecting her from is terriftying. I’ve never gotten that one published but I still love the story. Oh, the hero….in this terrifying new world she finds a kindly man who takes in homeless street kids and he brings her home to help with all the work…and to give her a home. And every time the world gets to be too much for her she withdraws into a still, silent doll, frozen with panic. And he find to his surprise she wakes back up when he kisses her. And of course, her keepers are coming. And there is a fortune to be made if they take her back home. HEY I STILL LOVE THAT STORY!!!!!!!!!!!!!!! Mary, I love those ideas!! It must be fun to be in your mind. Well, I’m afraid my imagination takes up so much space that there’s little room for COMMON SENSE. Yet another reason why I think Mary Connealy is a kindred spirit!!!! Oh, I just LOVE these little glimpses into how Mary’s mind works! She amazes (and sometimes frightens) us in Seekerville every day. I mean, when your standard answer to how to rev up a sagging plot is to SHOOT SOMEBODY—yikes! You come up with the best blog ideas, Pepper! Don’t you just love how everyday life and gel a book into existance? I love the inspiration of a your Sunday School class. I’ve taught a couple I could definitely make into books! Mary, you are an astounding author. May the words flow through your mind and onto the computer screen for many, many, MANY years to come!! !